2018 Hyundai Creta Facelift Spied Undisguised. 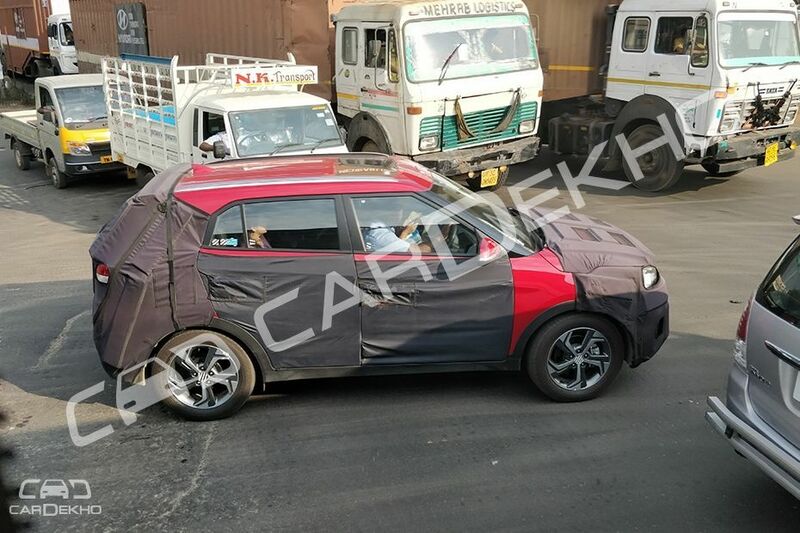 The 2018 Hyundai Creta facelift has been spied completely undisguised ahead of its launch. The updated compact SUV was reportedly snapped while it was out shooting for its TV commercial and the image suggests that it is not too far away from its market introduction. The leaked image shows the Creta’s new grille, which appears to be larger than before. And although it doesn’t look like Hyundai’s latest cascading family grille that you see on cars such as the 2018 Elite i20, Verna and the Tucson facelift, the Korean carmaker is likely to call it one. The grille is flanked by the updated headlamps and the overall setup looks similar to what Audi offers with its Q range of SUVs. Speaking of which, the updated Creta’s headlamp cluster is likely to get LED daytime running lights (DRLs), a long missing feature in the Creta’s equipment list, this time around. The redesigned front bumper is reminiscent of the Brazil-spec SUV (check out the picture above), albeit with a different set of fog lamps. The India-spec 2018 Creta is likely to borrow the new 17-inch, dual-tone, machine cut wheels from the Creta Sport sold in Brazil. Overall, the refreshed styling of the Creta facelift looks striking and muscular when compared to the outgoing model thanks to the relatively larger grille. The leaked picture also tells us that the optional dual-tone version of India’s best-selling compact SUV will be retained. As reported by CarDekho earlier, the 2018 Creta will also get a sunroof, making it the only SUV in its segment to offer the much sought after feature. 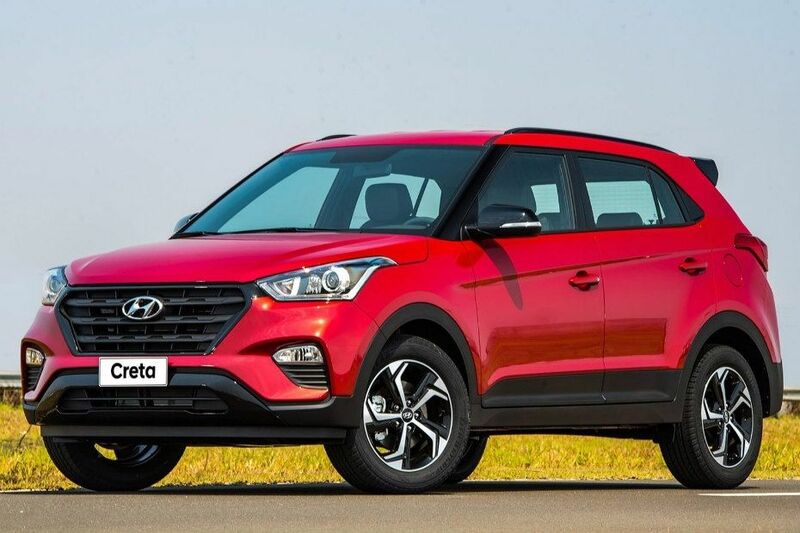 The updated Creta is likely to carry forward its current set of engines – a 1.4-litre diesel and 1.6-litre petrol and diesel engines – with a standard 6-speed manual and an optional 6-speed automatic for the 1.6-litre versions.